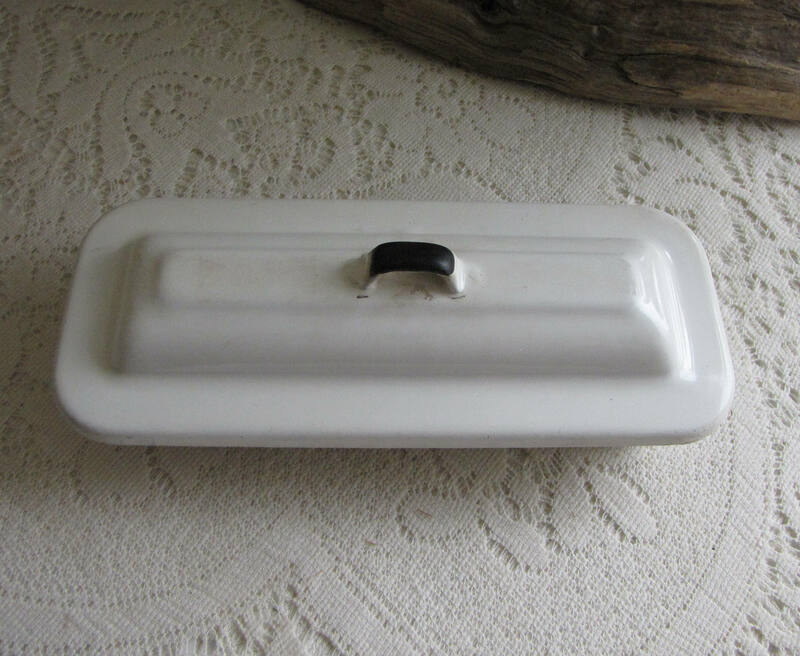 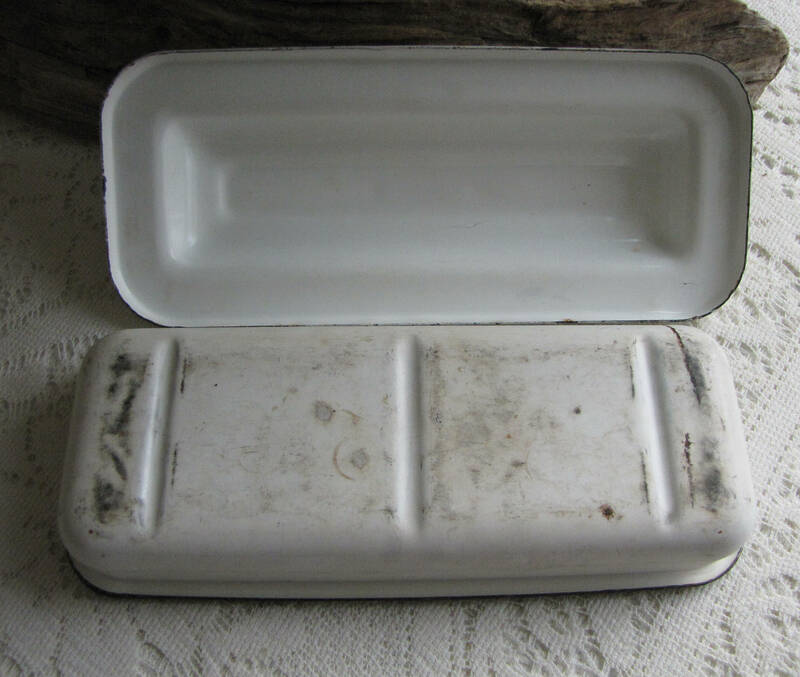 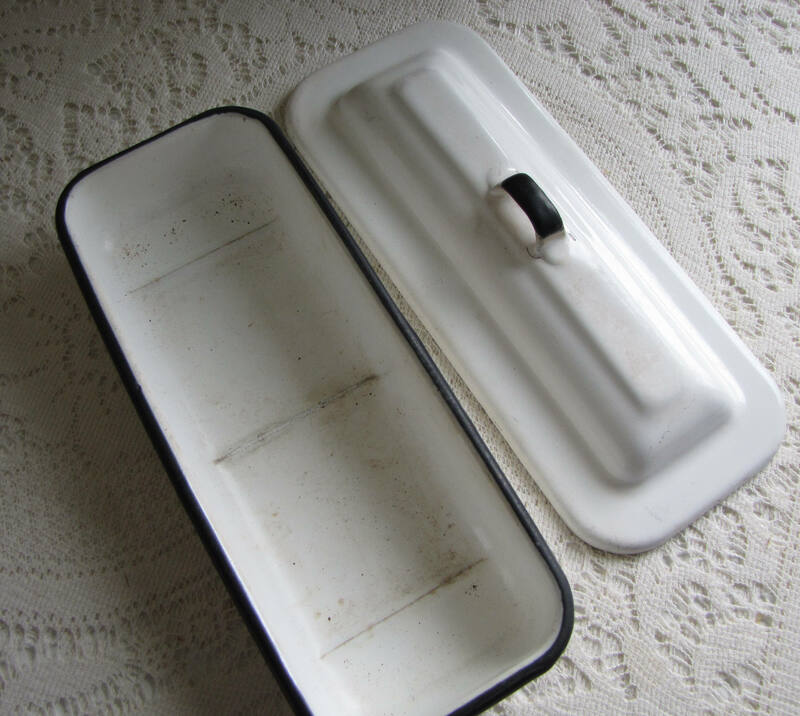 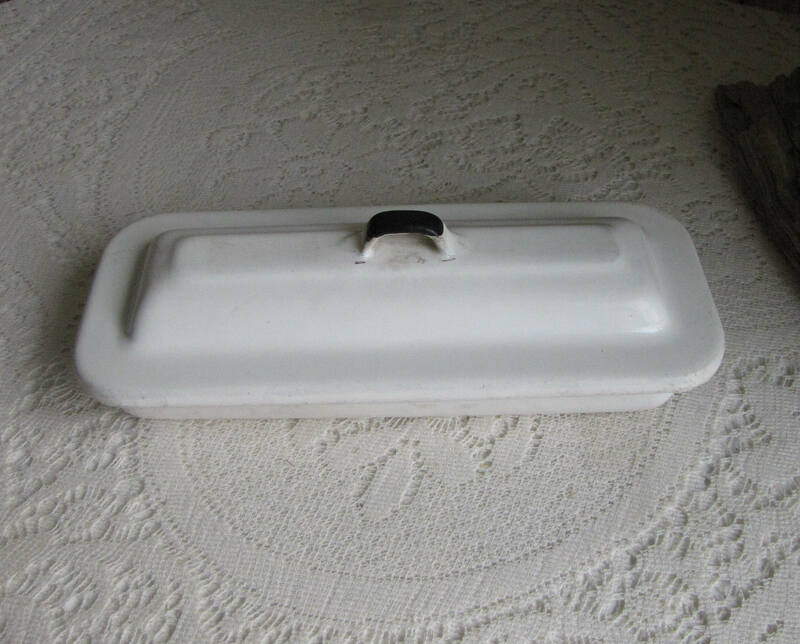 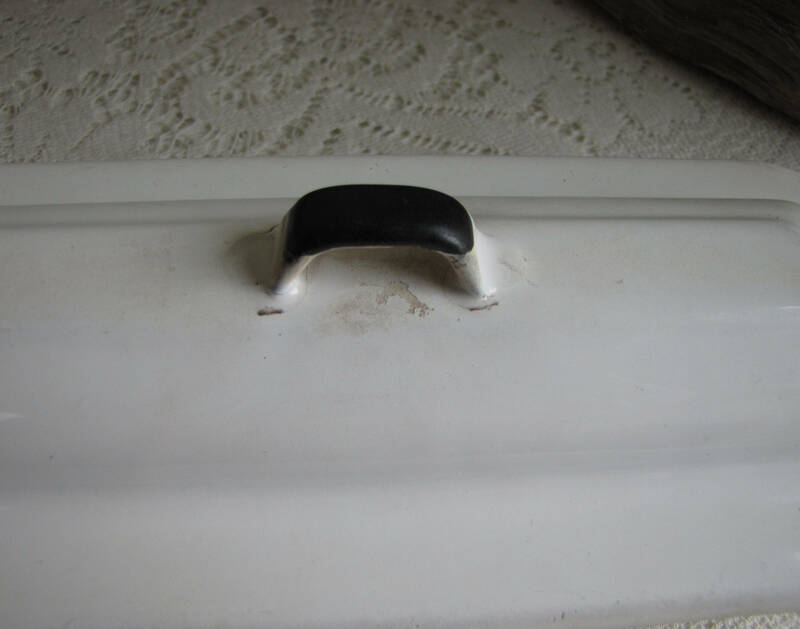 This is a listing for an enamel instrument tray with a lid; white trimmed with black. 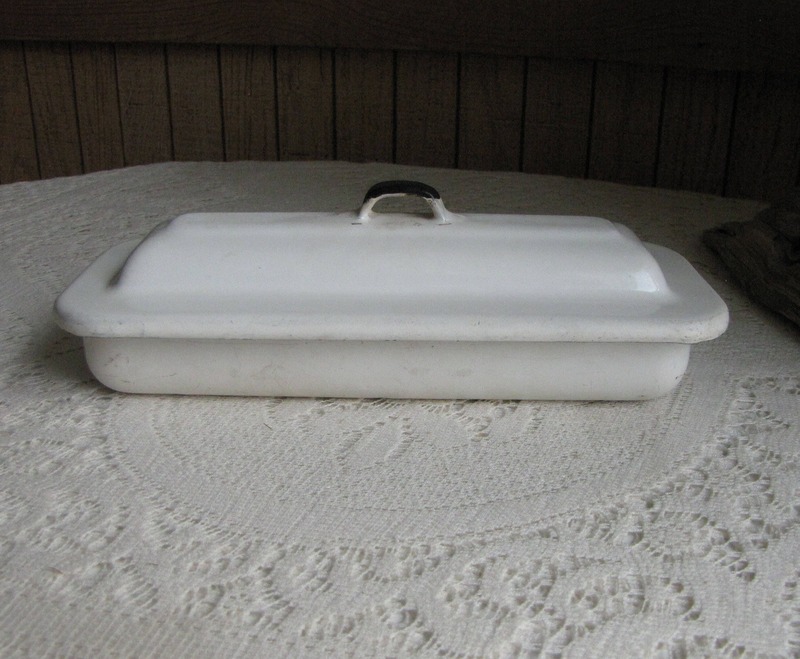 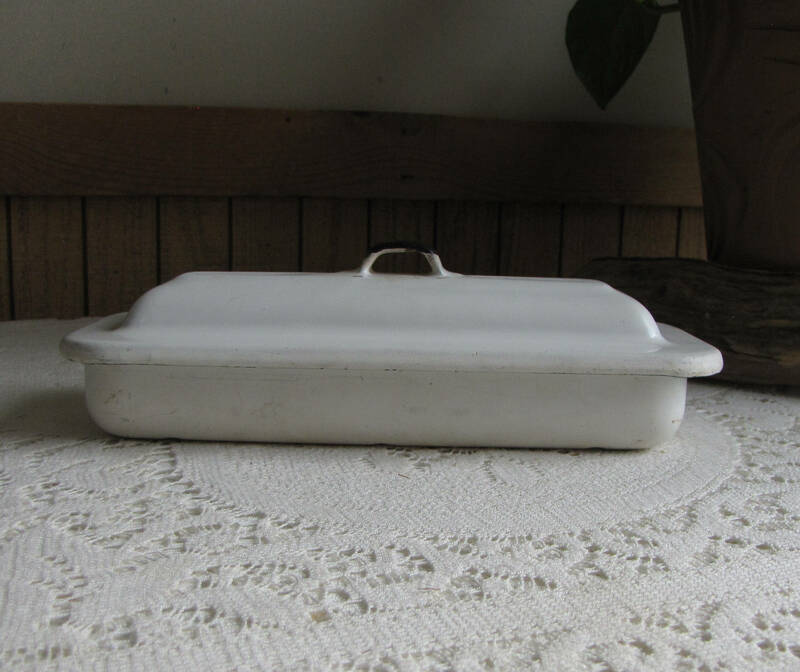 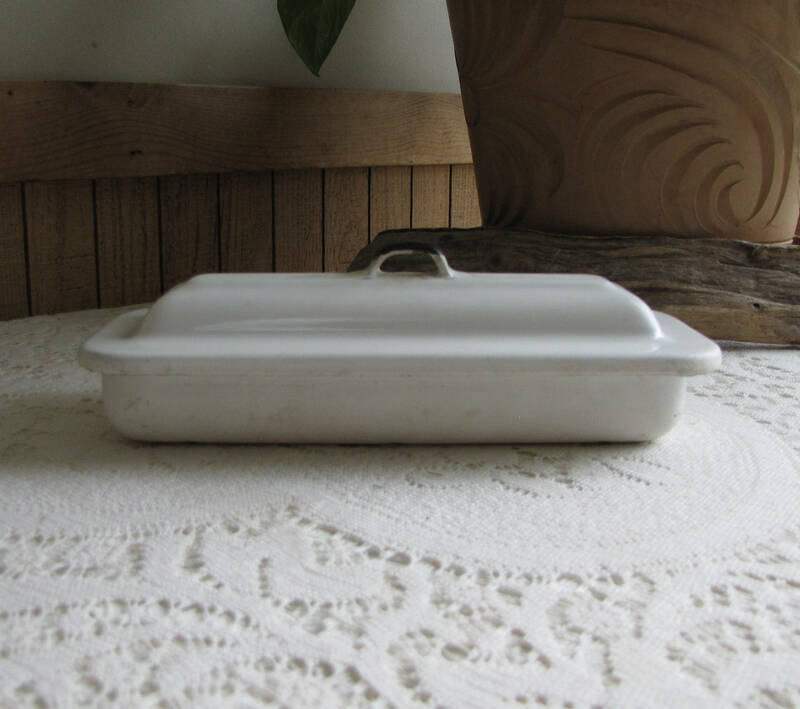 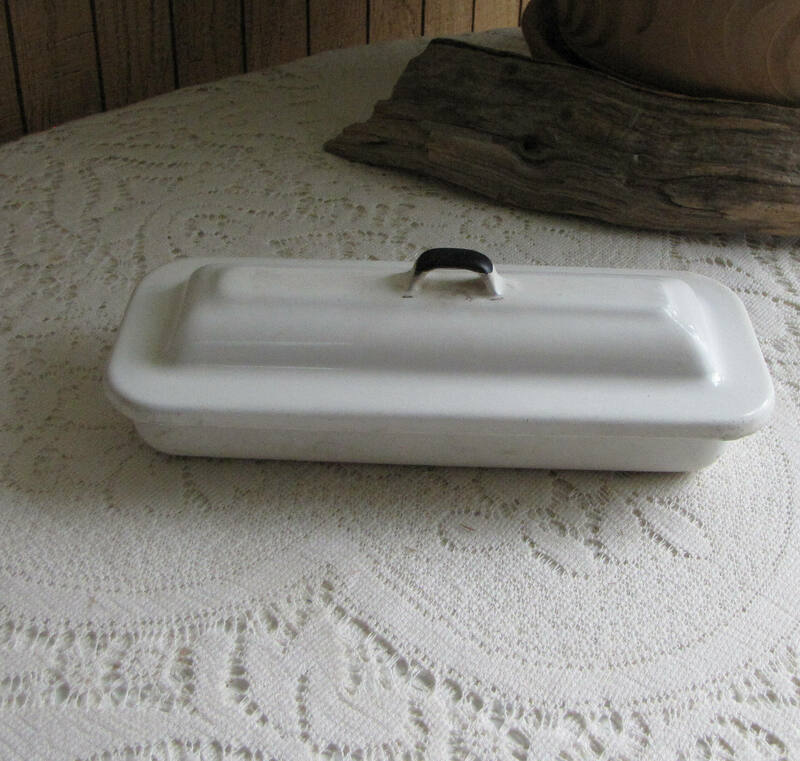 The lidded tray is in good vintage condition with no rust or dents; some stains on the inside and on the bottom (see pictures). 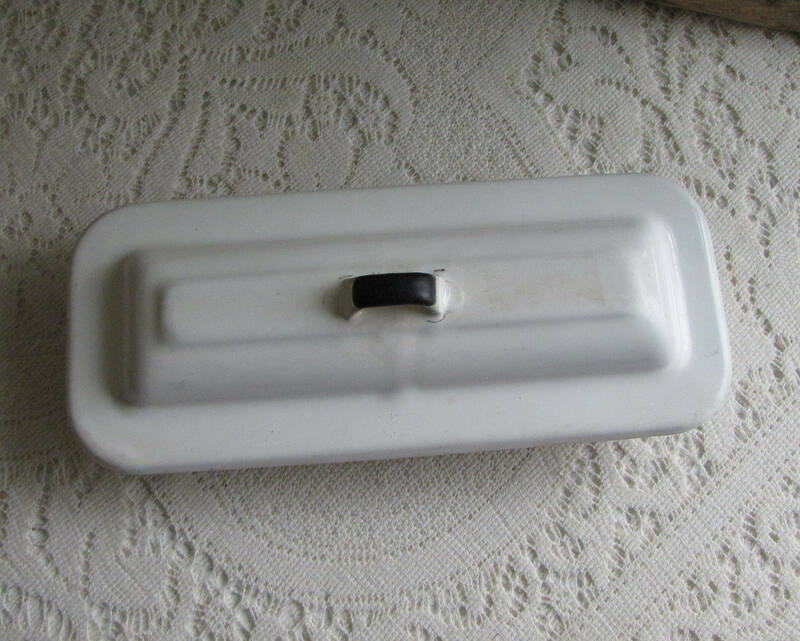 The instrument tray measures 3 inches tall and is 9 x 3.5 across.